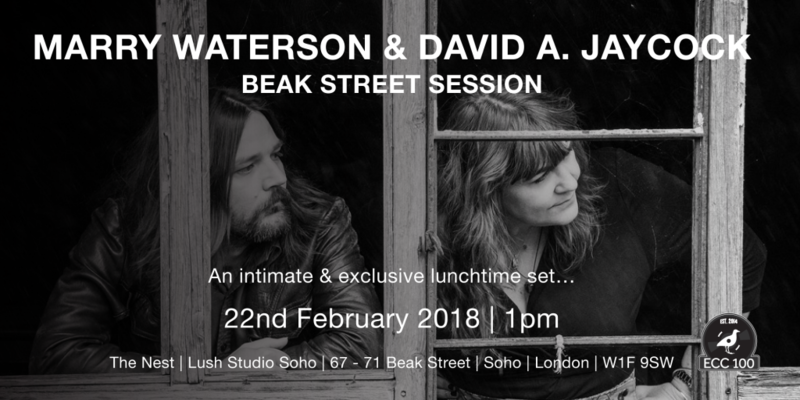 Lush Studio Soho presents an intimate and exclusive lunchtime set with Marry Waterson & David A Jaycock to celebrate the release of The Self Preservation Society lp. Join us for this very special session where Marry and David will perform Leonard Cohen’s “Hey That’s No Way To Say Goodbye” from the album as well as a set of their own tunes. You will be warmly received and entertained, and refreshments will be provided! See you there!